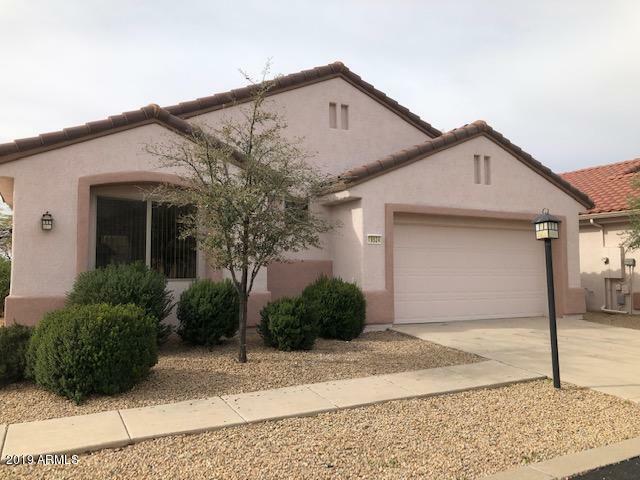 All SUN CITY GRAND-VACATION G homes currently listed for sale in Surprise as of 04/20/2019 are shown below. You can change the search criteria at any time by pressing the 'Change Search' button below. "HOME IS BACK ON MARKETING AFTER SOME INTERIOR AND EXTERIOR PAINTING. HIGHLY SOUGHT AFTER SUNDANCE MODEL. PERFECT SECOND OR PRIMARY HOME. FORMER VACATION VILLA. CONSIDERED MOST PRIME AREA AND CLOSE TO COMMUNITY CENTER. AVAILABLE FURNISHED OR UNFURNISHED. JUST BRING YOUR TOOTHBRUSH & ESSENTIALS. ALWAYS BEEN A NO SMOKE HOME. NEW HUNTER DOUGLAS $1100 PATIO DOOR DRAPE. GOLF CART AVAILABLE OUTSIDE OF ESCROW."